Property listed by United Real Estate Austin. Ideally located in Cat Hollow, this light-filled cul-de sac home stands out. Open-concept floor plan connects family room with kitchen and breakfast area with wall of windows overlooking the backyard oasis. Downstairs are an office and bed/bath ideal for guests. Space for everyone with five total bedrooms, game room and four bathrooms. 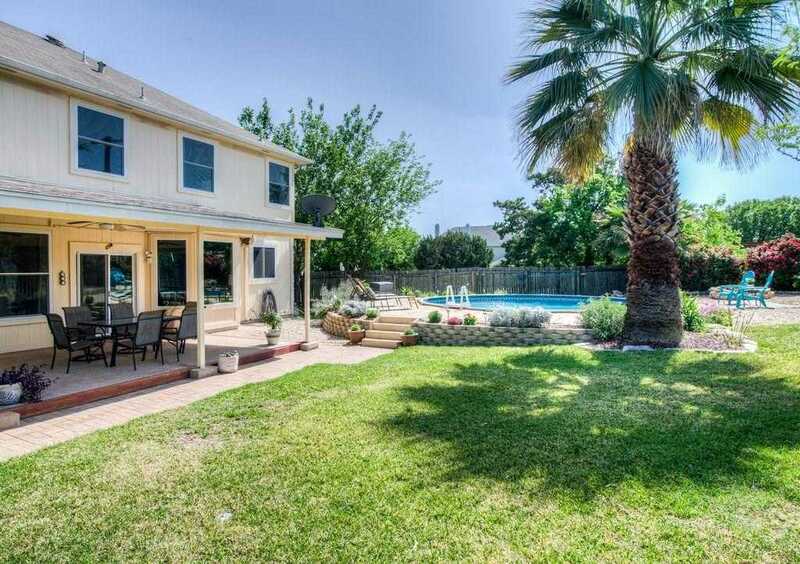 Gorgeous private backyard with large covered patio, tastefully enclosed above-ground pool, fire pit, and lawn area. Extra deep garage. Low-e windows throughout. Please, send me more information on this property: MLS# 4558695 – $395,000 – 8149 Hawick Dr, Round Rock, TX 78681. I would like to schedule a private showing for this property: MLS# 4558695 – $395,000 – 8149 Hawick Dr, Round Rock, TX 78681.